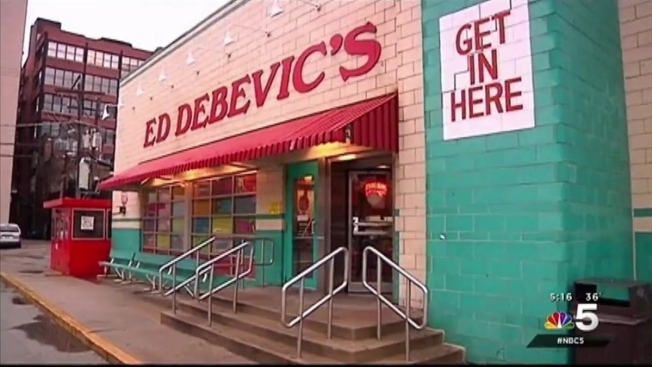 When iconic Chicago restaurant Ed Debevic’s tried to dig up a mysterious time capsule buried by famed magicians Penn & Teller more than 25 years ago, they found only a few unexpected items buried in the ground-- a chunk of urinal, an empty can of Schlitz, a tea pot and a woman’s shoe. The only visible clue left of the original time capsule, believed to have contained “hidden gems and secrets from the diner’s past,” was a slab of concrete with Penn and Teller’s signatures. Crews spent roughly one hour digging beneath the concrete, but other than a few random items, no Ed Debevic’s time capsule was found. “It was fun to try our hand at archaeology, but we’ll stick with the restaurant biz,” the former eatery said in a statement. The iconic 50s-themed diner opened in 1984 and quickly developed a cult-like following. The restaurant closed in October 2015 to make way for a new real estate development.